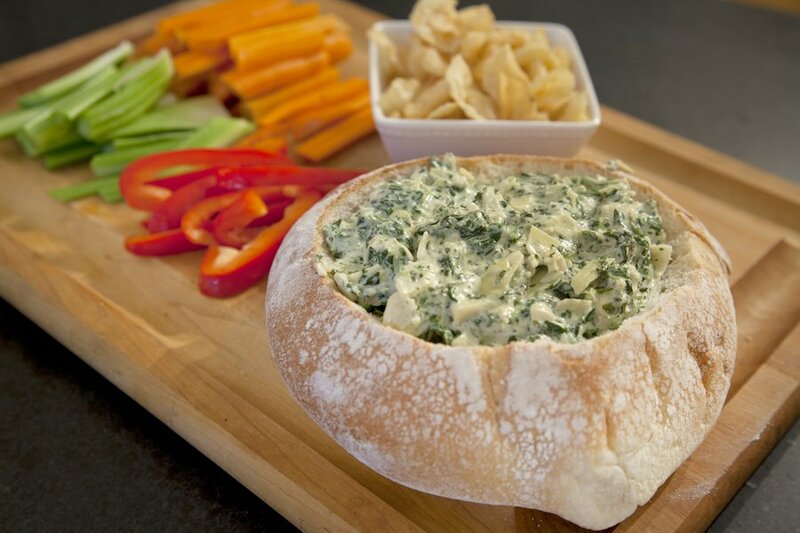 I am a diehard New York Giants football fan and one of my favorite things about football, are all the great foods you get to eat on game day. It’s almost like for that one day a week, you can eat all this delicious, not so healthy food, and not feel bad about it because football and snacks go together like Gin and tonic (that’s the saying right?) 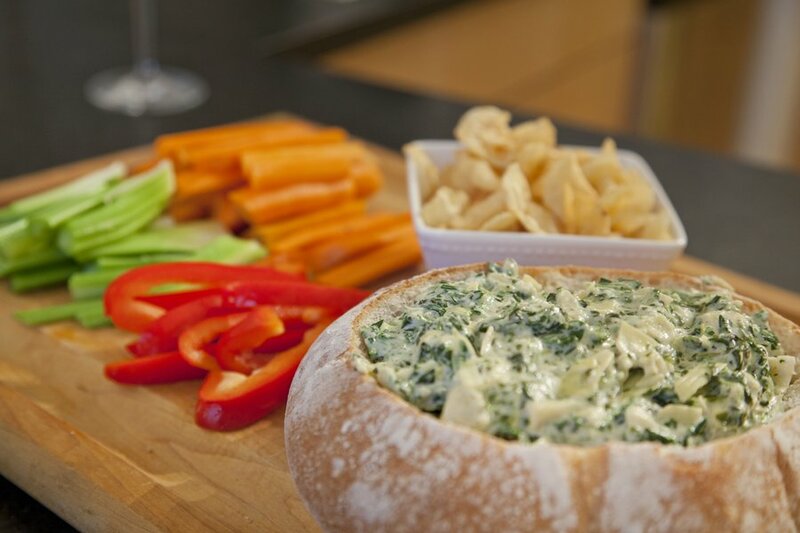 One classic dish, which at least incorporates some vegetables in it, is my Spinach and Artichoke Dip. I make mine on the healthier side, while most recipes call for an entire package of Cream Cheese; I make mine with a mixture of lower-fat but tasty ingredients. 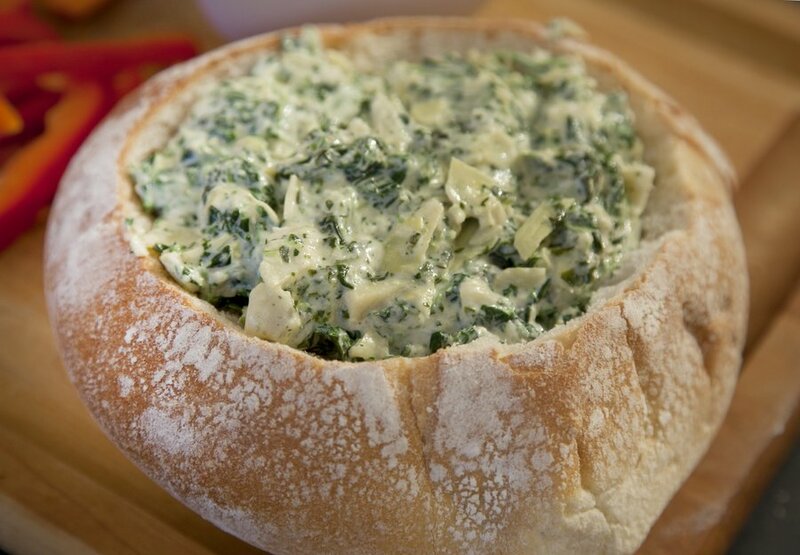 In a large bowl mix together your chopped artichoke hearts, spinach, sour cream, mayonnaise, parmesan cheese, mozzarella, Hot Sauce, and pepper. Mix thoroughly! 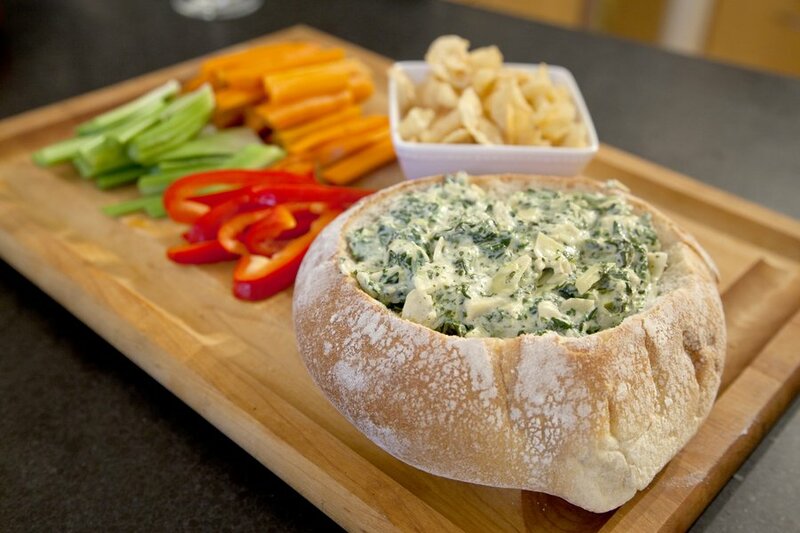 In a 350-degree pre-heated oven, cook this mixture in a Pyrex dish for 25-30 minutes. While it’s cooking you can hollow out your bread (*tip: you can make breadcrumbs or croutons out of the bread you remove from the loaf!) and you can chop up some veggies. 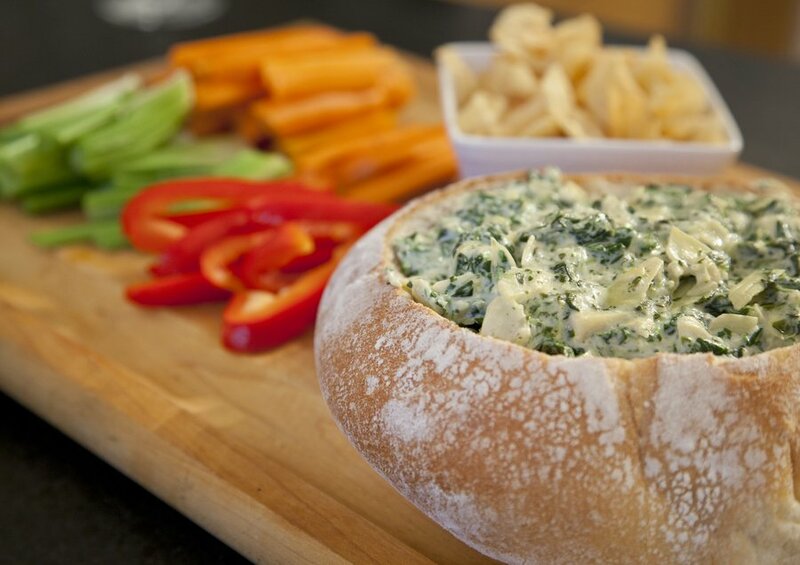 Once the dip is done cooking, carefully pour it into your bread bowl & serve hot!